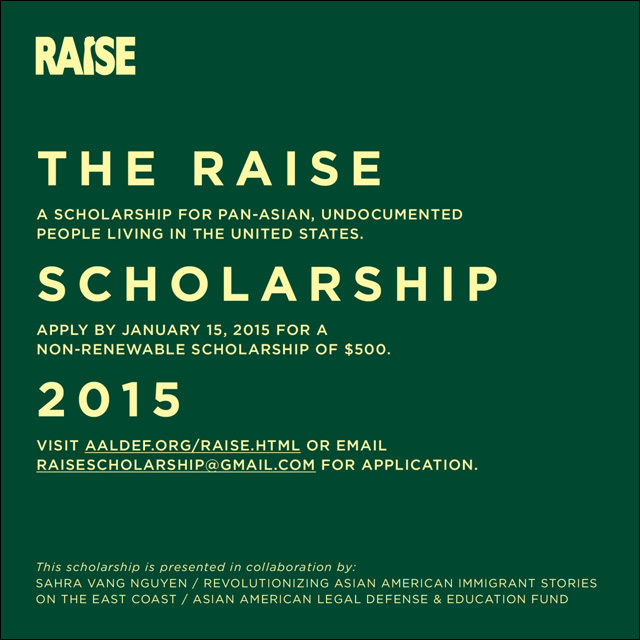 RAISE (Revolutionizing Asian American Immigrant Stories on the East Coast) is currently accepting applications for the RAISE Scholarship, the first scholarship specifically for pan-Asian undocumented people. 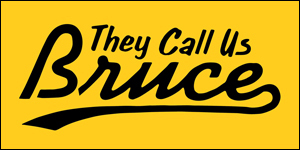 There will be five $500 non-renewable scholarships awarded in spring 2015 to different applicants in the areas of Arts & Culture, Higher Education, Leadership, Community Service and Professional Development. 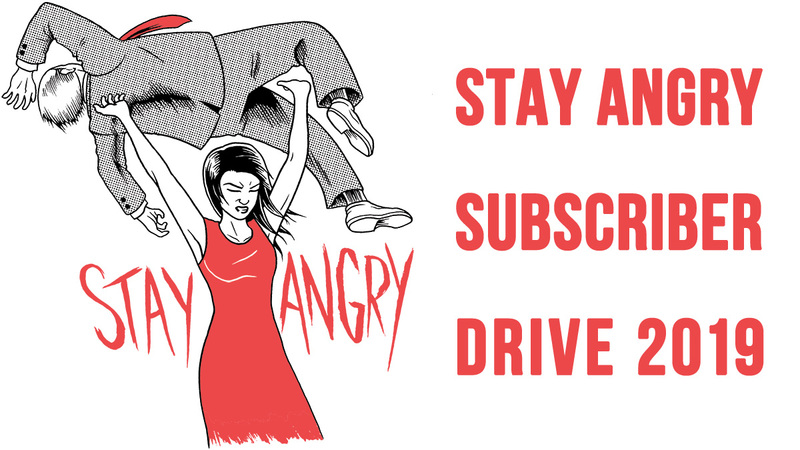 The RAISE Scholarship is made possible by artist and writer Sahra Vang Nguyen, and presented in collaboration with the Asian American Legal Defense and Education Fund in New York City. We recognize that there is an extreme need to support the undocumented community while the fight for humane immigration policies continues. When the government doesn’t support our needs, we must take it upon ourselves to organize the spaces and resources to empower, uplift and mobilize our communities. The RAISE Scholarship 2015 hopes to award pan-Asian undocumented people who demonstrate a financial need, in addition to a commitment to advancing themselves and their communities in either Arts & Culture, Higher Education, Leadership, Community Service or Professional Development. 1. Applicants must be pan-Asian* and undocumented** living in the U.S.
** Undocumented: an individual who currently does not have valid immigration status in the United States, for example, someone not in valid nonimmigrant visa status, not a permanent resident of the U.S., not a citizen of the U.S. The applications deadline is Thursday, January 15 at 5:00pm. For more details, including eligibility and other requirements, download the applications. For further information about RAISE, go here.